Tips for Safe Industrial Transportation Industrial trucking can be a hazardous and dangerous industry. Professional truck drivers behind the wheel are responsible for handling the large vehicle, its contents that need to be transported, and the safety of the drivers who are sharing the road. From taking breaks and getting enough rest to handling load security and dealing with vehicle inspections, professional drivers need to follow strict safety procedures and requirements. In addition to being extensively trained and having the proper industry knowledge, trucking experts need to be prepared with the highest-quality equipment. Secure Docking Stations:Make sure that you’re loading and unloading materials on highly secure docking stations. Efficient and safe docks use a board or ramp to bridge the gap between the dock and truck. Use a heavy-duty board, plate, or ramp made up steel for the heaviest loads up to 40,000 pounds. Prevent accidents and injuries by using dock bumpers, door motion sensors, gates, visible dock reflectors, loading dock lifts, and security cages. Portable Axle Scales:Heavy-duty cast aluminum weighing scales are traveling essentials for long-distance industrial trucking transportation. Weighing trucks ensures that trucks are properly monitored at any checkpoint, including state points of entry, isolated roads, and remote locations. Portable axle scales on board help check for weight restrictions, equipment safety, and other carrier compliances at any location. 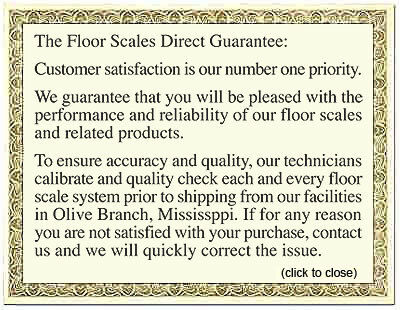 Our axle scales are all factor calibrated, provide the highest levels of accuracy, and are watertight for outdoors. Load Security:Whether cargo is being transported down the street or across the country, loads need to be properly secured to prevent property or cargo damages, accidents, and injuries. Secure loads also prevent shifting and truck rollovers. Loads should be securely fastened to trucks en route. Use at least two tie-downs for cargo, red flags to mark loads that extend beyond the vehicle, and binders for pipes or logs. Inspect your cargo during stops while on long distance runs.